Wondering how you can use Instagram to generate awareness and build your agency’s brand? Look, not all social media platforms are the same, so don’t treat them all the same. Are you struggling to build a following and find Instagram success for your agency brand? Then it’s probably because you’re committing some of the biggest Instagram mistakes. In this episode, learn some tips and tricks on how to utilize Instagram to build a culture and drive new business for your agency. The #1 mistake agencies make with social media. 2 Strategies for Finding Success on Instagram. Rules for using direct message on Instagram. What to post and share for Instagram success. Today I chatted with Sue B. Zimmerman, entrepreneur and Instagram expert who consults others on upping their Instagram game. With 18 businesses under her belt and having taught social media, Sue has unlocked and embraced the power of Instagram for your marketing agency. Today she shares with us how your agency can have success in order to start building a culture that cultivates relationships, with both prospective clients and potential employees. Every platform is NOT the same and should not be treated as such. Your agency should be choosing platforms that serve your audience and which you enjoy engaging in. Social media, as a tool, should not be a “post and dash,” scenario. For success with social platforms, your agency must hang out, show up and engage. Automating posts might seem efficient, but it can be your biggest downfall. Interactions need to be personal in order to start building relationships. The magic of Instagram are the micro-communities that exist within. When you invest the time to seek out these micro-communities you’ll find more and better opportunities to engage. Use the explore tab (magnifying glass icon) and type in a word or phrase of relevance for your prospective clients. Tap on ‘People’ to see who is using that word and view the profiles of people your agency or client would want to do business with. Check out their posting habits and what hashtags are they using. Find out what they want, not what your agency thinks they want! When you find hashtags that resonate, you should be following them so they show up in your agency newsfeed. Tap on the hashtag and then hit ‘Follow.’ Event or conference hashtags are important because it opens a door to connecting ahead of time. You can then use Instagram’s direct message to make personal connections prior to an event. Direct message used to have a bad reputation with people thinking it was spammy, but not anymore. Instagram direct message is an intimate way to connect to people. But, it shouldn’t be the first place you go. First, engage. Tap ‘Photos’ and then like photos and comment on photos. Be sure that your agency is interacting with relevant content you enjoy. Start the conversation in the feed. Then, if you’ve earned trust and can provide something of value, then engage via direct message. Direct message is where you can get personal by sharing links or sending a video. Add a personal message and, most important, no automated messages! On the Right- Upload a video using the picture icon, from a camera roll. The person receiving the video can then download the video to their camera roll. If your agency has built a solid reputation on another platform and is an authority or thought leader, then you have more freedom on what you can share. There still needs to be consistency and the content should align with your core values. 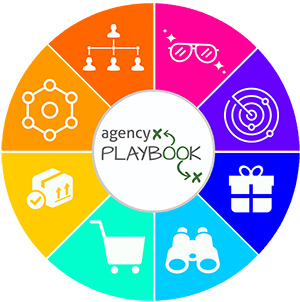 The benefit is your agency can reference the account, and what to expect from the content, from the other platforms, where you have credibility. 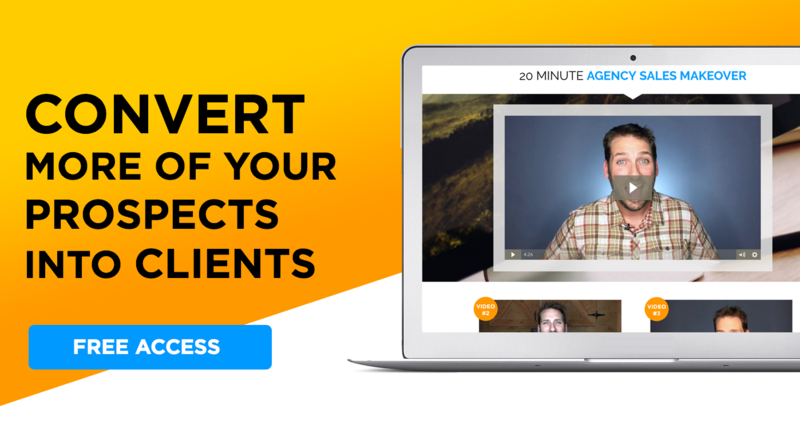 If your agency wants to have Instagram success and doesn’t have another platform where you’re crushing it, then you will need to start with a more polished look and feel. Build the account around content that showcases your agency and it’s point of differentiation. Think of buckets and put what people say about your agency into separate buckets, like: customer service, your processes, and even your culture or humor. Then show all of this on Instagram so followers can get a taste of who you are and what you do. Remember, the photos don’t have to be a literal match to the description. Get creative. The images you share need to capture attention and be relevant to the description. And don’t forget about the description, if relevant, it can be treated as a micro-blog. Use the hashtag search function for agencies, and check out what other businesses are doing, get inspiration. Figure out what is and isn’t working or what your agency likes or doesn’t like. The search function is a great place to do market research. Remember, there is SEO on Instagram, in your bio, so be sure you are using “agency” in your name. Your agency can use its Instagram account to build a culture. If your agency has a physical location, this is an advantage. Be sure you’re using geotags in your stories and Instagram posts. Use geolocations can score up to 72% more engagement… and social media success is all about engagement. Speaking of engagement, hit me on on Instagram @jswenk … and you’re also going to want to check out this recent blog post on How to Build Authority on Instagram.